Luxury charter yachts that visit Menorca Island in the Balearic Islands of Spain might also explore other important destinations beyond Son Bou. 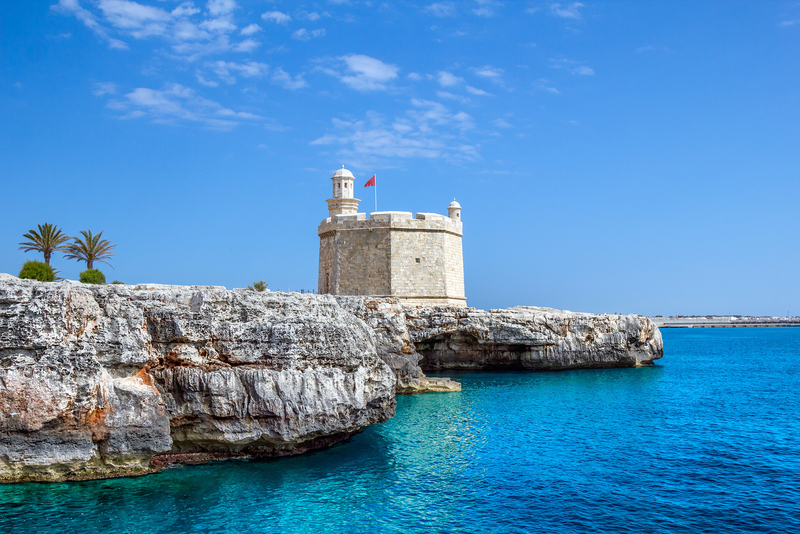 One of the important holiday resorts on the extreme edge of the western side of the island’s coast is Ciutadella, and you it might pay to visit this important tourist centre within the island. A superyacht charter holiday in this idyllic city is more than just a soothing day at the beach as there are a lot of impressive attractions to explore and exciting fun activities that you can do when you spend a couple of days in Ciutadella. While the city of Ciutadella is already a familiar fixture in commercial and cultural circles, seasoned sailors and regular holidaymakers in the Mediterranean will still be taken by surprise by the immensity and grandiosity of its history and cultural heritage. Another interesting twist to your holiday jaunt to this idyllic “old” Spanish city is the party mood that pervades in its nightspots. In fact, the city goes on a frenzied pace as various cafes, bars and other night time establishments come to life at sundown. The city of Ciutadella is steeped with history, and it traces its roots to old Roman times. This old Spanish city was established by the Carthaginians and it went under the control of the Moors for several years before it was ruled by the Spanish during the reconquista. The port facility of Ciutadella is an essential fishing and tourist maritime hub. There are several amenities and establishments that serve the requirements of seasoned sailors and tourists who are exploring resorts and other popular destinations within the region on board their charter yacht. Being an essential leisure port facility, yachting enthusiasts can also find a rich array of fine restaurants and other food venues in the city. The airport terminal that serves yacht charter aficionados going to Ciutadella as well as other resort destinations in the island is located on the eastern edge of Menorca, and is in close proximity to the town of Mahon. The airport is about 45 kilometres from the Ciutadella’s main district and the drive to this idyllic city is less than an hour. Of course, tourists who are spending their holiday in Spain on board superyacht and luxury yacht can access the city from various ports in other islands of Balearic such as Palma and Puerto Alcudia as well as from the cities of Valencia and Barcelona. Seasoned sailors who sail to this city normally make a whistle-stop at Mahon. Today, a day or two in this rustic city is akin to a journey back in time. Ciutadella landscape is teeming with old structures and historical buildings. The medieval charm and allure of Ciutadella are most distinctive in its old district and its charming port. The iconic symbols of its rich history are the Gothic and Baroque churches that are found in various locations within the old district of Ciutadella. Notable attractions and popular destination in Ciutadella include the 13th century Placa de la Catedral, the Placa d’es Born, the famed city square in Ciutadella, the Teatre Municipal d’es Born, the old Town Hall and the old palaces in Palau de Torresaura and Palau Salort.